Hey Blog Hoppers!! I hope you all had a relaxing Labor Day weekend! As it winds down over here I wanted to show you one way I prep for the start of a new week. Printing out my weekly objectives! I created an editable objectives template for each subject. Then on Sunday night (or Monday on a long weekend) I will type up this week's objectives and print them out to take to school. 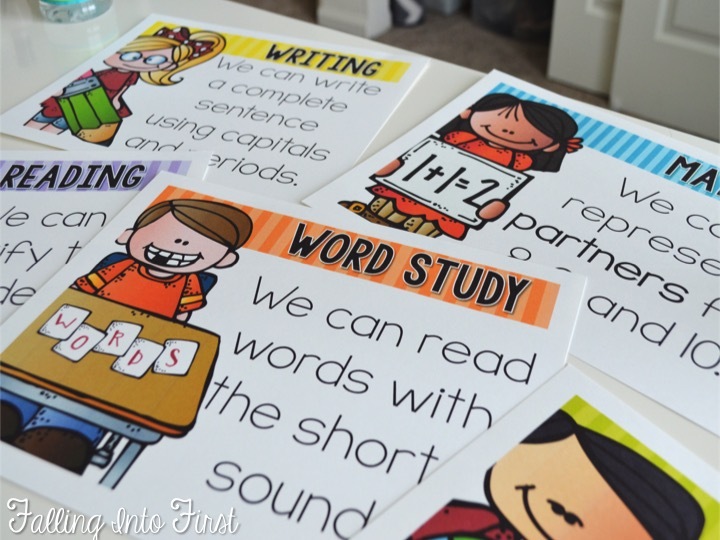 At school I display them on my white board using page protectors and sticky clips. This makes it super simple to swap them out each week! My Whole Class: "What's Our Focus!!!" That's what you will hear in our room when it's time to read one of our weekly objectives! 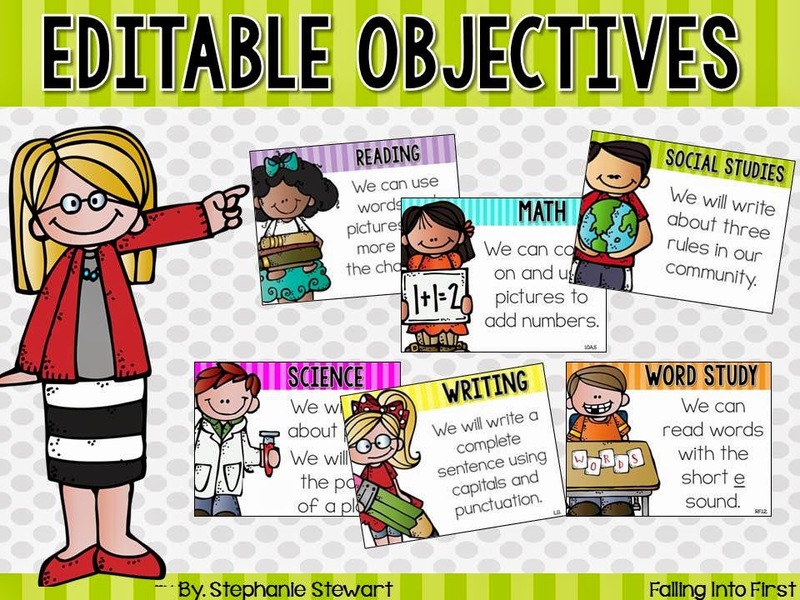 It's amazing what those two little magic words can do to get kids excited about something like objectives! I even have a magic wand that the kids and I will use to point out our objectives on the board. You can also just print them blank and write on them with dry erase marker. 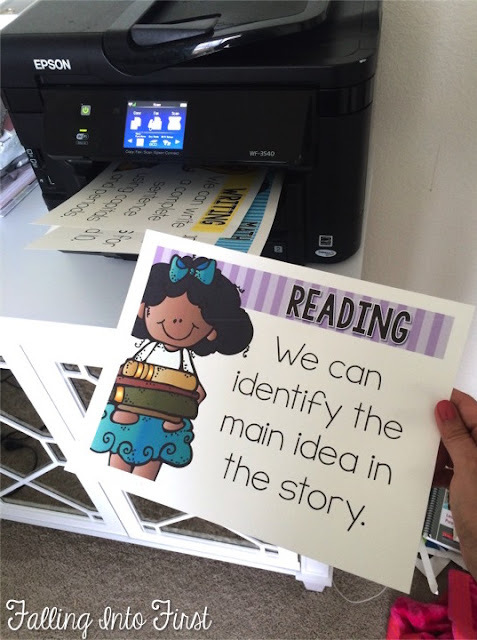 Writing these in kid friendly language and making it interactive doesn't make me feel like I am wasting precious wall/board space, one of my pet peeves. We also refer back to them during out lessons. I can take them with my to the carpet or wherever we are in the room and then return it to it's spot on the board. You can check them out HERE or by clicking the image above to see more.